Every day I walk to the park and sit on the bench that allows me to view the gazebo that holds so many fond memories for me. I remember Billy, my very first boyfriend, kissing me at this gazebo on New Year's Eve that year and I swear I think my toes tingled. My “husband to be” danced with me on this gazebo so many years ago and I thought we were dancing in heaven. We married six months after that dance. Then there were all the picnics that my husband, children and I went on as we sat in the gazebo sharing our fried chicken and potato salad. Holding me close, we watched the children play on the park gym and laughed at silly jokes. One day, my casket will be on this gazebo as my family tells me goodbye. There will be tears and beautiful music, a picnic lunch and family mingling with each other. But I won't be there. This is my 173 word submission for the Weekly Challenge, Flash Fiction for Aspiring Writers, hosted by PricelessJoy. We are given a photo and approximately 100-175 words with which to write a story with. It is fun, challenging, and addicting. If you would like to participate, please click on this link: FFfAW. To read the other participant's stories, click on the blue froggy button above. Nicely done. I like weaving the gazebo as part of her life. Thank you! 🙂 Will you be submitting a story for it? Yes I will. My mind is lost in a different setting with two characters that are doing their best to elude me. Thank you!! 🙂 I appreciate your feedback. How sad but inevitable. Maybe the the narrator can find a happy way to look at her situation, instead of being depressed about it. There’s even better things ahead! That was great I did not realize it was a fictional story at first, I would like to read more. Ah yes, it is my flash fiction submission for Flash Fiction for Aspiring Writers. Lots of fun flash fiction to read if you click on the blue froggy button. Ah, bittersweet. Sounds like a long and happy life to look back on, though. Nice work, PJ! A very bittersweet tale about the inevitability of that final curtain call. At least she created happy memories which are still treasured and can be continued by many after her. I enjoyed this story and it was very engaging too. I wonder if we all have gazebo thoughts. Well done Priceless. Nice story…I like the way you moved toward the end and added what was to happen even after her passing. Sad, but very meaningful. The end of life as we know it, is always sad. Thank you Jessie. That’s true. End of life as we know it. Oh sad. Hospice is not a great place to be but she seems to be okay with it. Thank you Donna. Yes, she’s accepted that she is dying. 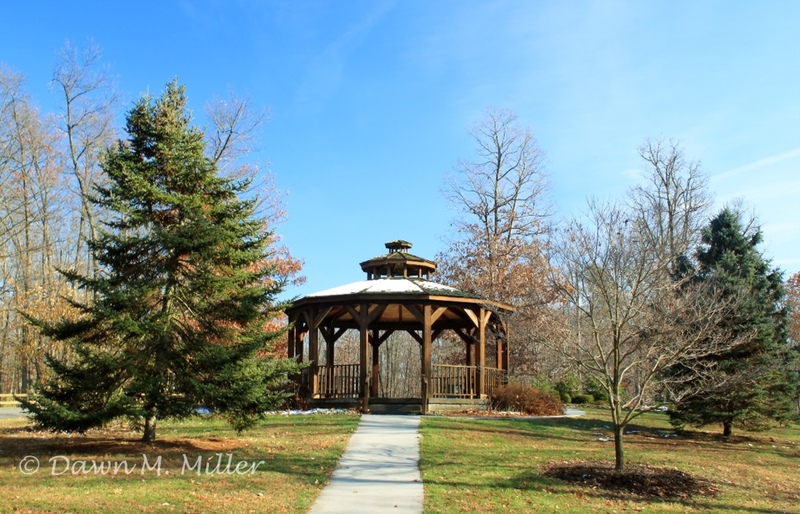 Sad but a beautiful story … I loved the idea of gazebo making some beautiful memories…. Bittersweet. I hope her family will spend time with her at the hospice. Is her husband still alive? If so, perhaps they can “dance” together one more time. Your story made me see the gazebo as a place, not just a space. Thanks Phylor! No, her husband has passed away. Very sad but well written. Hope the family respects her request to be put in the gazibo for the last time. Oh, I think they will. That is where her funeral will be. I went back and reread it and you are right. I used the word gazebo in every paragraph. Thanks Cat! I love how the reader journeys through her life through the gazebo. Sweetly melancholy story! Lovely story of a life well lived. Beautifully written, well done! Lovely tale. I loved how you kept the story revolving around the gazebo. Memories are made of these! Wonderful story. I like your post. Question: where’s the site for the ‘inspirational’ photo? I don’t understand your question, “inspirational photo.” Are you asking about Flash Fiction for Aspiring Writers? I’m going to guess, yes. Is this a similar website to Friday Fictioneers? A photo is posted and bloggers write 100 word stories. Yes, but Flash Fiction for Aspiring Writers has a 100-150 word limit (plus or minus 25 words). Nice story. Sad but real. I just put mine up and I have a feeling that the gazebo will draw a lot of stories about memories…and perhaps weddings. Hi Vanessa! Would you like for me to link your story to the InLinkz grid? Oh I forgot to do that, I’ll do it right now. Thanks. LOL! I have already done it. A lovely look at the role the gazebo played throughout her married life and the happiness she shared with her family. The prospect of her death is made all the more poignant by the fact that the gazebo will still play a part. Lovely story PJ, love how the story of her life is to come full circle there.. This is such a lovely story, thanks for sharing your writing with your readers. Thank you for the wonderful comment! Do you or would you like to do flash fiction stories? You are more than welcome to participate! Not many people are lucky enough to live in the same place for so many years and to have a central place holding so many memories. This piece pays tribute to that and to our immortality. I like the idea her remembering her life and happy times. I like fried chicken, too! That’s so lovely that she holds such fond memories of the gazebo and I’m glad she’s able to escape from the hospice and walk down to the park to see it. Lovely story ending with a sad note. But she holds beautiful memories which is good. Thank you. Yes she does. She has some wonderful memories with the gazebo.